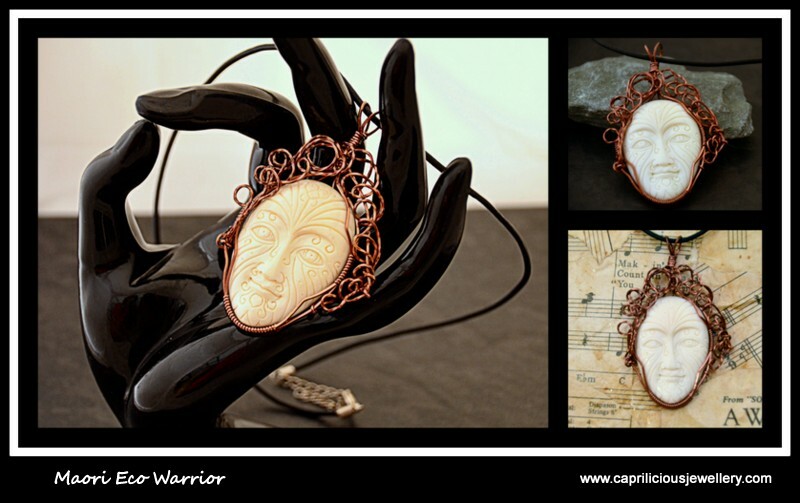 Hand carved Maori eco warrior bone face set in twisted square copper wire on a leather thong. Pendant - 2.8" long, thong - 18" long, extendable by 1.5"
Grey, beige and cream arrowhead wrapped in antiqued copper wire and hung on a leather thong. 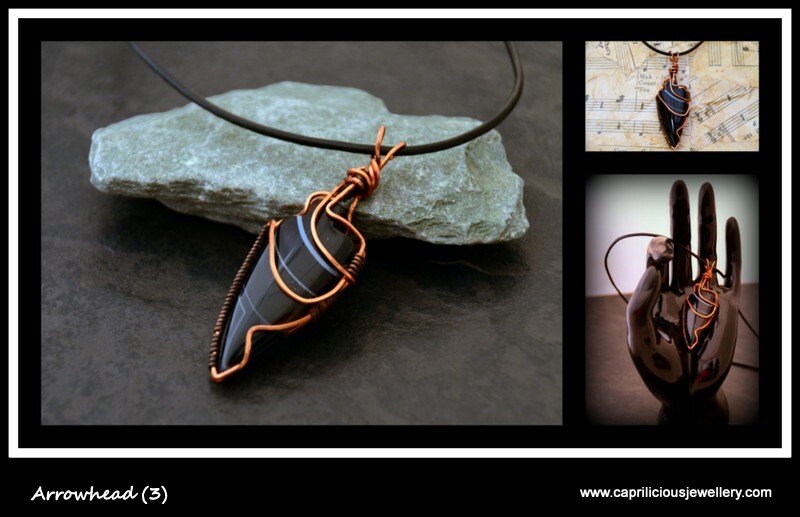 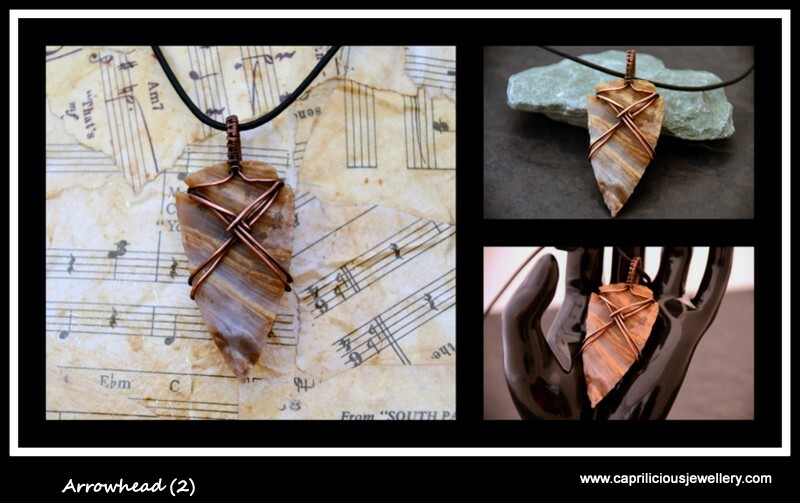 The pendant is 2.8" long, on an 18" long leather thong, extendable by 1.5"
Black and cream arrowhead wrapped in antiqued copper wire and hung on a leather thong. 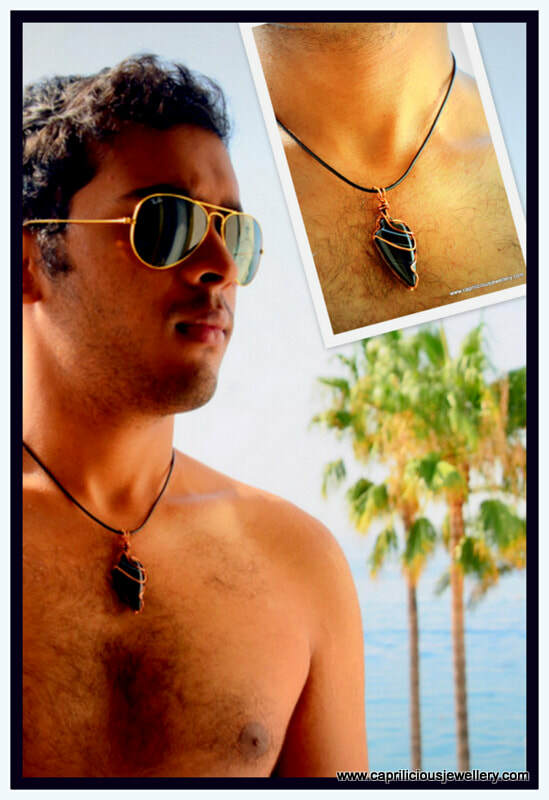 The pendant is 2.6" long, on an 18" long leather thong, extendable by 1.5"